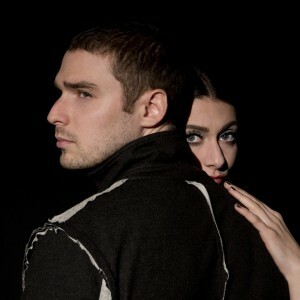 After giving us a little taste of their ‘Sugar’ last month, US pop duo Karmin is back with yet another new tune – and another new clip; that for their latest release ‘Along The Road’. Now… if you live in the general Boston area in the US and you’re missing a shoe or two from your front porch, chances are there’s a creative somewhere in your midst who’s whipped it off to be part of Amy and Nick’s new video. Though somewhat ironically, Amy spends the entirety of said video completely barefoot. Yes, there are shoes aplenty here, most arranged into the form of a sun at the end of a pier. Super-simple, yes. But incredibly effective all the same. Though still relatively uptempo, ‘Along The Road’ is a lot more organic than its predecessor, giving us an indication that their forthcoming album ‘Leo Rising’ will be a somewhat sonically diverse affair.